PMP® Certification Online in as Little as 5 Days! Getting the PMP Certification Online has never been easier than with PMTI's PMP Online Training Courses. We provide two convenient course formats to fit the needs of any professional seeking the PMP credential. With our 4-day online, instructor-led live classes you have all the benefits of the classroom course from the convenience of your work or home. If your schedule doesn't allow for the live 4-day course, we have you covered with our video-on-demand format where you can study and view the materials at your own pace and convenience! No matter what your needs, we have the training options to help you get your PMP Certification Online in as little as 5 days! Not sure you're eligible to become PMP certified? Review our PMP certification requirements page to learn more about the PMP eligibility requirements or take our Free PMP Eligibility Assessment to determine if you meet the eligibility requirements. If you still have questions, please call us toll-free at (866) 540-3126. Get PMP Certified or Your Money-Back, Guaranteed! If you're looking to get your PMP Certification Online, look no further than PMTI's PMP Online Training. Here at PMTI, we're extremely confident in our ability to prepare students to pass the PMP exam, so much that we guarantee it. 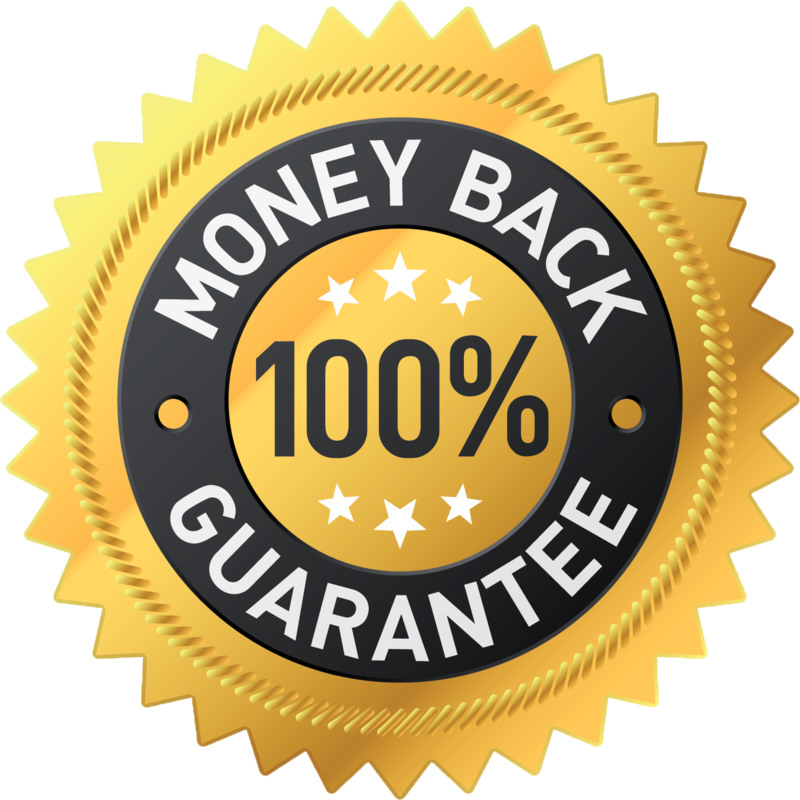 If you take our Online PMP Training Course and do not pass the PMP exam, we will refund your money. You can view the full guarantee documentation here. Online Training Courses Updated for 2019! Don't spend months studying outdated content! Our course materials are constantly being improved upon and our online training formats are no different. 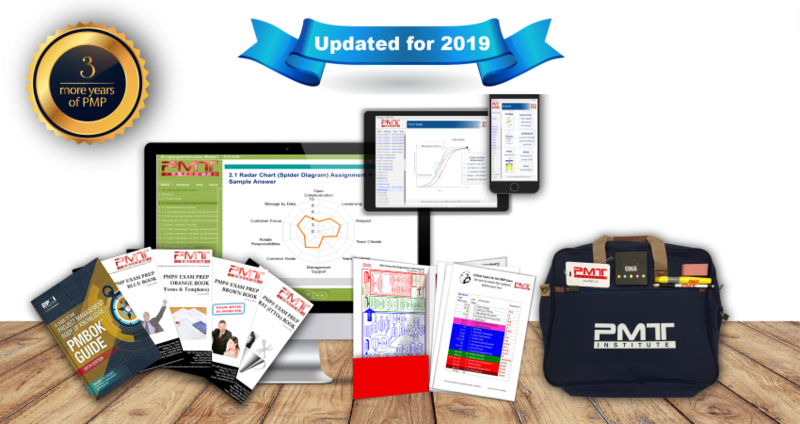 Online PMP Certification Courses have been updated to reflect the 2019 changes in subject matter so you can study in confidence, knowing that the material you are learning will be relevant and applicable to your PMP certification exam! Our Instructor-Led Virtual Course is our most popular online course due to it's near identical format to our classroom style PMP training courses. The course, held over four consecutive days, is led by one of our PMP Training Instructors. You will be able to see, hear, and interact with your training instructor, live. This electronic face-to-face style of teaching is the most effective and quickest way to PMP certification. Our Online Self-Study Course is designed with the busy professional in mind. While we still recommend the Instructor-Led Training if you can fit it into your schedule, the Self-Study option is a great solution for those professionals that are looking to earn their PMP credential in their free time. Our video-on-demand format gives you the freedom to study whenever and wherever you may be.